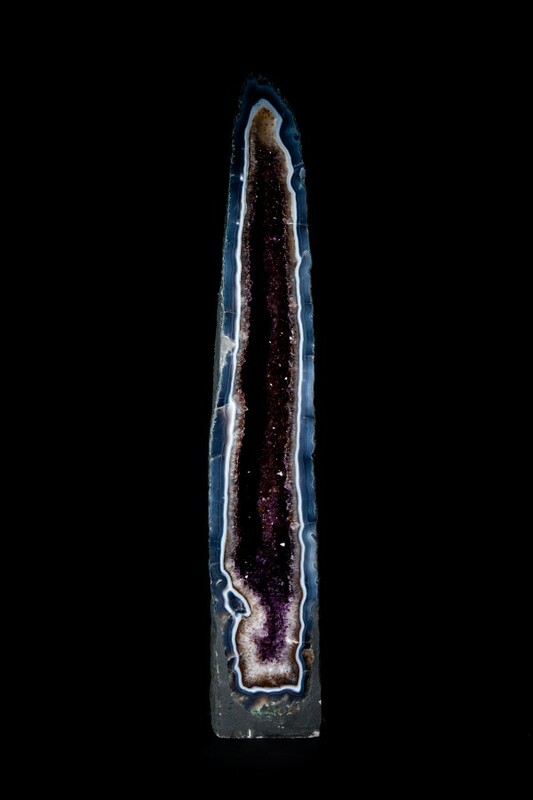 This is a fine example of the popular Amethyst geode. 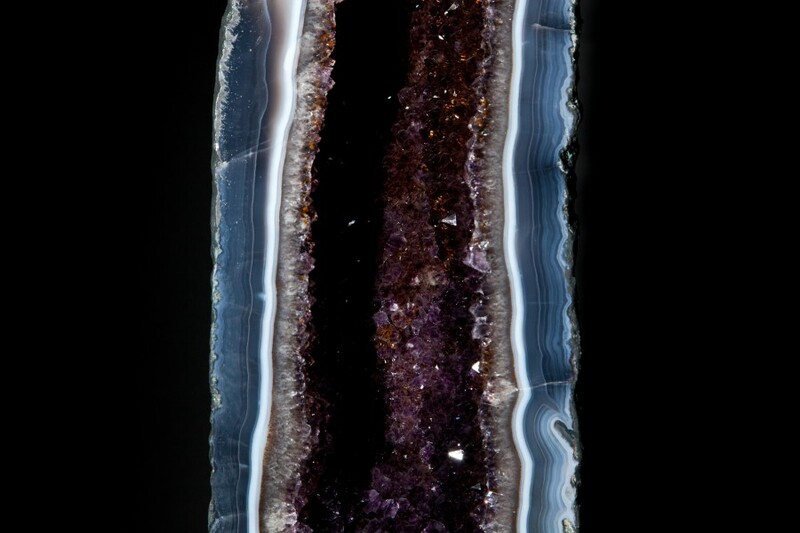 This piece has striking Agate bands around the edge of the structure and rare Smokey quartz crystals grouped within the Amethyst centre. 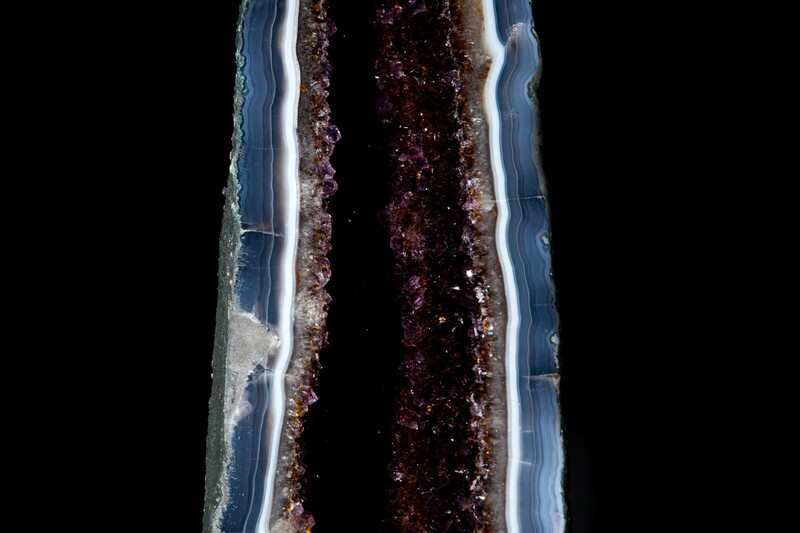 One of the most unusual examples of Amethyst geodes we have ever seen.